And oh you love to hate me don't you, honey? So you wonder why you hate? Great wall! Love the feel of it. gosh! what a reeeeally cute edited VK wallie! This wall is both dramatic and so gloomy! I just love it! I'll just do finding another! I hope you'll give me your opinion! Quote by CilouThis wall is both dramatic and so gloomy! I just love it! That would be awesome! *__* your walls are a lot more cooler than mine's, your vectors are simply amazing. It looks very nice, I like the dark colors you used and i love Evanescence! Very nice job, please make more. Nice Wallpaper, Thanks for upload! 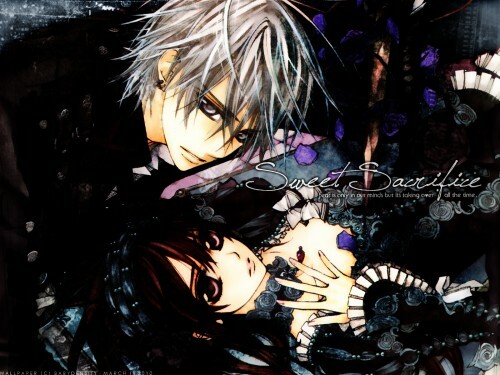 Awesome, vampire knight <3 ! thanks for sharing!